Gigha and it's smaller neighbour Cara, lie to the west of Kintyre. Covering an area of nearly 1400 hectares, Gigha has a highest point of 100m on the summit of Creag Bhan. 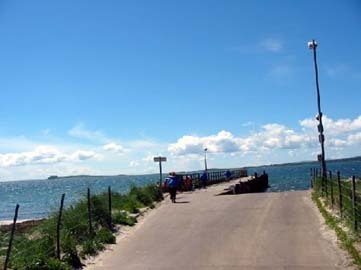 Vikings who plundered many island settlements from distant Scandinavia including Gigha gave the isle its name, Gudey, the Good Isle. The Gaels adjusted the name to Gigha (Pronounced Geea) as time passed. Throughout history, the isle has been noted for its fertile soil; from 1700 until 1850 it was completely without trees, until the owner planted the woods around Achamore House. Its value in terms of agriculture is reflected throughout its history - good land provided men and women who could carry arms and take part in the islands battles, with the means to survive and prosper. About the time of the fall of the Lord of the Isles, in 1493, Gigha came into the possession of the family of MacNeill of Taynish. 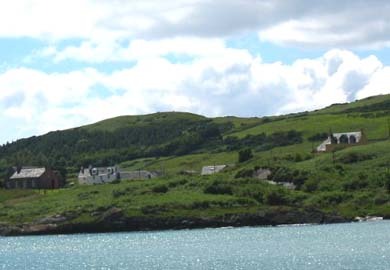 The family fought many bitter disputes with the Macdonald Clan to hold onto the island until finally selling it in 1790 to another branch of the Clan Neill, the MacNeills of Colonsay. 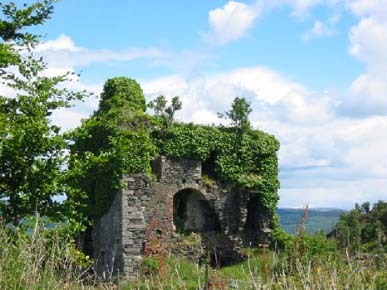 ​Thereafter the island has had many owners, the Scarletts, Allens, Hamers - until in 1944 it was sold to Sir James Horlick, when the story of the creation of the great gardens of Achamore began. The Isle of Gigha Heritage Trust now own the Isle of Gigha, including Achamore Gardens. ​​The small island of Cara, to the south had remained the property of the MacDonalds of Largie, the last link with the Lord of the Isles. 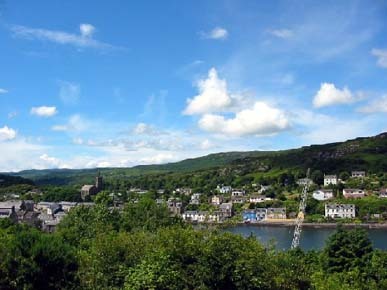 Isle Of Gigha - Islands main on-line presence which tells you pretty much everything you'll need to know about this scenic and historic small island. Calmac Gigha Ferry - Timetable fot Calmac sailings from Kintyre to Gigha. ​Achamore House - Planning a trip to Gigha ?...well why not stay in the stunningly beautiful surrounds of Achamore House.